Many dental practices are faced with outstanding bills and the issue of collecting on past due payments while trying to maintain patient relationships. There is a solution for you and your dental practice when it comes to recovering past due payments! 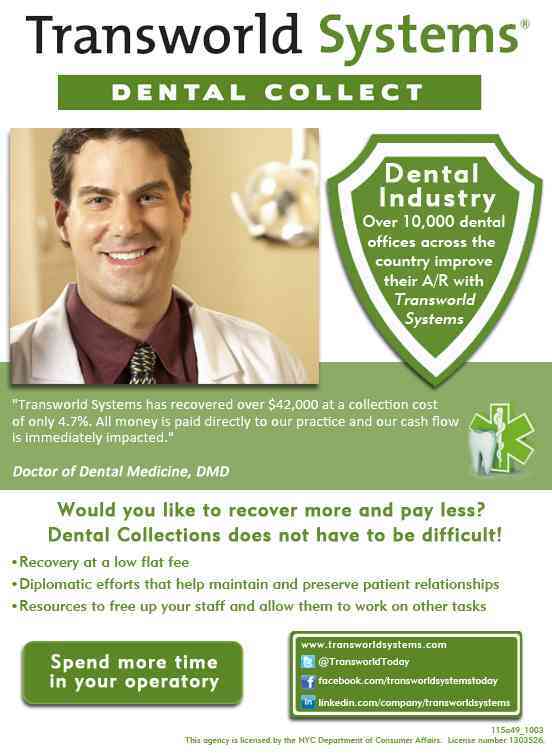 Transworld Systems has been helping dental practices and other offices since 1970 with the recovery of slow and past due payments from both patients and insurance companies! Contact me today to find out how we can help you start the road to faster cash flow!